The inline flow meter EE771/EE772, based on the measurement principle of thermal mass flow, is ideally suited for the measurement of flow in pipelines DN15 (1/2”) up to DN80 (3”). Measurement of for instance the usage of compressed air, nitrogen, CO2, oxygen, helium or other non-corrosive, non-flammable gasses. 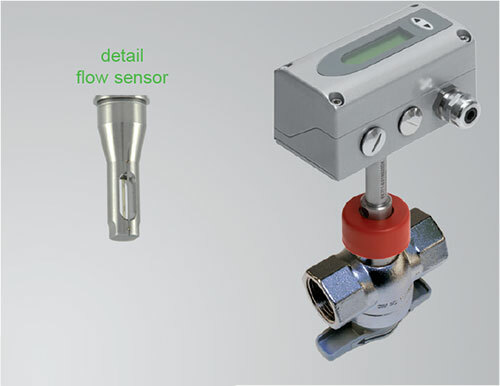 The flowmeters are setting new standards in terms of measurement accuracy and reproducibility thanks to their applicationspecific adjustment during production. As such, the EE771/EE772 is adjusted under a pressure of 7 bar. The unique mounting concept with a mounting valve permits rapid installation and removal of the device for periodical calibration. It simultaneously ensures high measurement accuracy through exact and reproducible positioning in the pipe.